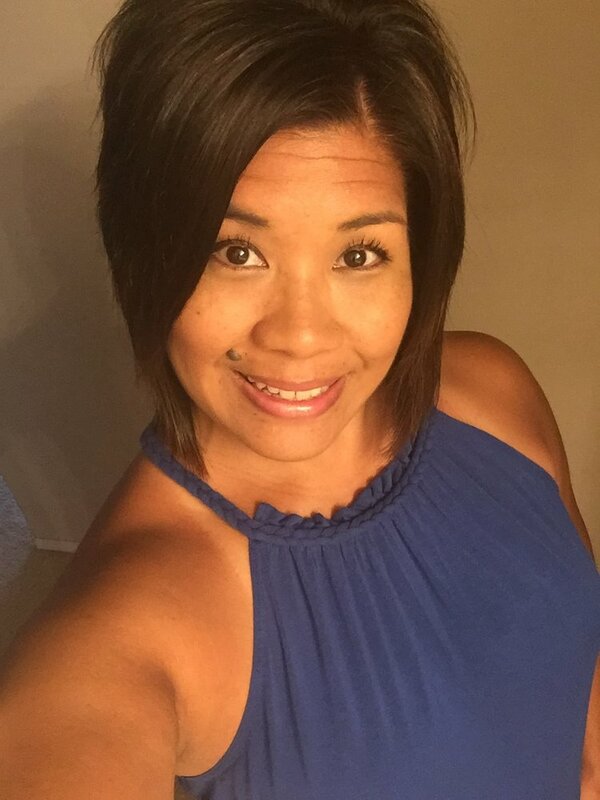 My name is Michelle Milane’ and I am proud to say I am a Dutch Indo who was born and raised in Southern California! A little history behind the creation of how I came into this world will give you a better perspective of who I am as an individual. Simon Cornelius James Van Lommel, born in November 1910 in Djarkarta, Indonesia, met Fredrika (Hoorn) born in July 1925. Fredrika was adopted at a young age by a Dutch family during the war. Fredrika’s maiden name was Tjin Lan Tjhin (Chinese decent). After World War II ended in 1945, Simon (Opa) was in the Dutch Army stationed in Banka Indonesia. Opa was in a prisoner of war camp at that time. The Army was there to protect the civilians of Banka. There is where Opa met Fredrika (Oma). Opa and Oma married in March 1948 in Banka, Pankal Pinang Indonesia. Opa and Oma had six children: five daughters and one son. The Van Lommels’ migrated from Indonesia to Holland in 1957 on the SS Cranson Victory later renamed the Zuiderkruis. The Van Lommel family lived in Holland from 1957 until 1962 when they flew to New York (Ellis Island), then boarded a train to make their long journey to California. Opa then purchased a home in the city of Norwalk where the Van Lommels established their roots. My mother Nelly being the second oldest child used to go with her parents to a Dutch Indo Club called De Soos. These gatherings were usually held in Pasadena California and there would always be an Indo band playing music and delicious Indo food was served. One of the bands that often played at the club was The Majestic 5. The leader of the band was Fritz Fredzess. Fritz lived right across the street from Opa and Oma Van Lommel. The band would oftentimes practice in Fritzes garage and my mother would hang out with the band and listen to them play. That is how my mother met my father John Milane who was the drummer. Piet Milane and Marie Milane also lived in Indonesia, moved to Holland then migrated to the United States due to the cold climate. They established residency in the city of Long Beach. My parents married in July 1972. I entered this world in June 1976 and my youngest sister was born in July 1980. I oftentimes find myself reminiscing about the past more specifically about the family gatherings our family used to have at Opa and Oma Van Lommel’s house. The distinct smells of Indo spices filled the air as I walked into the house through the kitchen door. Oma always had various pots filled with delicious Indo soups, meats, vegetables marinating in coconut milk and of course an oversized rice cooker that always had hot rice in it. I recall Oma Van Lommel saying, “It takes hours to cook good Indo food. You cannot rush.” That is so true, you cannot rush good cooking. Oma had a white stool with a metal backing on it located right next to the refrigerator. I used to sit on that stool and watch her work her cooking talent with all of the spices and ingredients she used. Oma would never use a measuring cup or measuring spoons. Everything was done by taste or by sight. All of Oma’s food came out so delicious! I sure miss all of her cooking. Family gatherings were very important to the Van Lommels. We would gather to socialize, cousins came together to play and of course the one thing we did best is eat Oma’s home cooked Indo food! These are definitely priceless memories that have definitely carried on into my adult life. I was especially close to my Oma Lommel for which I still feel I can have conversations with her whenever I visit the ocean. Her presence can be felt and my mind always leaves with a peaceful heart and a clear mind. Whenever I am stressed out about life or if I just need to talk with Oma I will drive myself down to the ocean just to obtain clarity for myself. One fond memory I have was when I graduated from college (Chapman University) back in June 2002. I recall standing up with all the graduates as the commencement song was playing. Tears of joy rolled down my face not only because I accomplished this goal I set out for myself but also because I knew my Omas and Opas were right there watching me receive my college degree! That is one thing they all wanted to see me achieve! I am currently a Social Worker and work protecting the welfare and rights of our older adult population. I feel that I was placed in this position to help our elders and to be their voice when they are not able to advocate for themselves. I feel very fulfilled with the career path I have chosen. It is very challenging and rewarding. I know that my grandparents are very proud of my accomplishments and the career path I chose even though it was not the doctor or lawyer Oma Milane wanted me to become. Now that I am in my forties I try my best to embrace and enjoy every moment I have with my parents. My mother and I spend quality time together whenever my schedule allows and I also make it a priority to call her frequently just to see how she is doing. Retirement life for my mother has allowed her to enjoy time with her grandchildren, my sister and I. We have been creating some priceless memories together which will be cherished for a lifetime. I still have family in Holland and Indonesia. Through Opa and Oma Milane I got to meet family and friends that have visited from both countries: Holland and Indonesia. Even though I have never been to these countries I feel connected to the culture through them. I look forward to someday visiting both countries and appreciate the rich culture I was born into. As I continue through life’s journey, I can proudly say that I am a Dutch Indo who was raised with great family values. I value and cherish all the love, advice and moral support my Omas and Opas gave to me while growing up. I will continue to pass these values down to my two daughters who are in their teenage years now. Love one another; reach out to those who are in need and lastly a smile can make all the difference in someone’s life.